Pokeno is a combination of poker and bingo, played like bingo. Instead of playing with a standard bingo card everyone uses a Pokeno card, which has card names and suits on it. As card names are called out, players cover the cards with their poker chips until one of them wins the game. There are other variations of the game that can make it more interesting to play. An electronic version of Pokeno is available to play at most casinos. 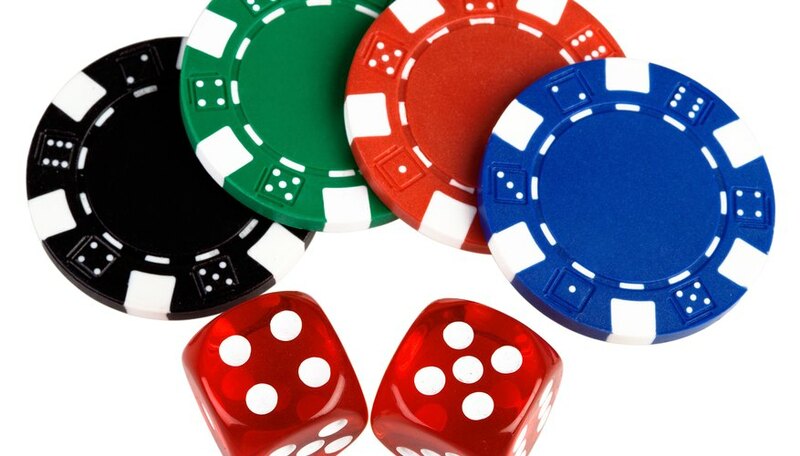 Decide whether you are playing standard Pokeno, where a player wins with is five cards in a row either horizontally, vertically or diagonally, or if you are going to play a variation like four corners or full card. Hand out Pokeno game boards to everyone who wants to play the game. Give each of the players 20 poker chips. Shuffle a deck of cards and lay it face down on the table. Pick one card at a time and call out the card name and the suit. Instruct the players to place a chip over the card value that you just called out if they have it on their board. Continue calling cards until one of the players has five in a row vertically, horizontally or diagonally. The player may also have the four outside corners or a full card if you are playing one of those variations. When the player gets what he needs to win on his card he calls out Pokeno. Switch places with the winner of the last hand. Now you are playing to win and the winner is the dealer. Based in New York, Judith Tompkins has been writing sleep and nutrition articles since 2002. She worked for six years as a polysomnographer and now serves as a nutrition consultant. Tompkins received an associate's degree in polysomnographic technology from Cuyahoga College, as well as a master's degree in applied clinical nutrition from New York Chiropractic College. Instructions for the Card Game "Big Fish, Little Fish"